Offering for sale a great early Carrera 3147n recently acquired from original owner. It’s not perfect, but a great piece nonetheless. It was recently serviced and is running as it should including chrono resetting. It also received a NOS crystal with the inner white bezel. If you look closely at the left seconds register you will see a very subtle ring around it, this is a drag mark from the seconds hand making contact with the dial at some point in the past. It’s totally inconspicuous but wanted to mention it for accuracy. The minute hand has some lume loss as well which is clearly visible. It’s been lightly polished at some point in the past so edges are not perfectly sharp but certainly not too excessively. And fortunately, the serial number is clearly visible between the lower lugs-87XXX. I will also include an additional NOS crystal,VERY HARD TO FIND! The band is just a generic buffalo racing strap with generic buckle but looks great on this watch. Offered at a very fair price of $9950 net to me. 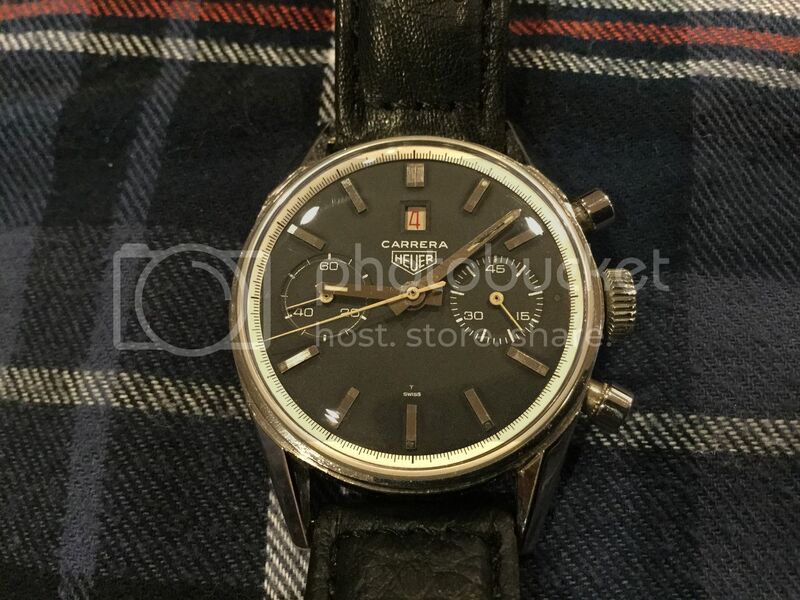 NO ONE that I have seen offers this watch under $10K. Admittedly it’s not perfect, but the price point is reasonable. ONLY looking to complete transaction through paypal or a bank check. Not playing any scammer games, please don’t waste my time. The money will need to be in my account before shipping. My references are limited but perfect eBay feedback is available to interested parties, also more than willing to discuss on the phone. Looking for a US deal, international shipping would have to be discussed on an individual basis.